As we celebrate Cinco de Mayo, we should reflect not only on the past, but also on the future. Latinos are entering a new decade, a time of great promise and challenge. Since 1980, the Latino population in the U.S. has grown five times faster than the rest of the country, to over 20 million. The next ten years will see further growth. However, during the 1980s — the so-called “Decade of the Hispanic” — the Latino family real median income (adjusted for inflation) dropped by nearly a thousand dollars a year, and one out of four Latino families now lives in poverty. Meanwhile, the Reagan ad­ministration slashed human services while at­tacking bilingual education and affirmative ac­tion, and launched an anti-immigrant hysteria. Today, nearly 50% of Latinos never graduate from high school. But the Bush administration ignores the real problems — overcrowded, deterio­rating, and underfunded schools; inadequate bi­lingual education; and school boards that neither represent nor understand Latino communities. Limited schooling means limited job oppor­tunities, so Latinos are concentrated in low-paying agricultural, manufacturing, and service sector jobs. Employer sanctions under the new immigra­tion law worsen the problem, with widespread job discrimination against Latinos and other people of color. Immigration from Mexico and Central America will continue to grow, fed by poverty, war, and death squads, despite increased deporta­tion raids and efforts to “militarize” the U.S.- Mexico border. All these inequities and injustices are directly tied to a lack of political power. Latinos are vastly underrepresented at all levels of government, and struggles for Latino empowerment are heating up in communities large and small. The Latino-majority town of Watsonville is beginning to reap the fruits of a recent federal court ruling overturning at-large elections. And there is a pending ruling that is expected to force the powerful, all-white Los Angeles County Board of Supervisors to redraw districts to ensure Latino representation. During the past decade, we fought many bat­tles. 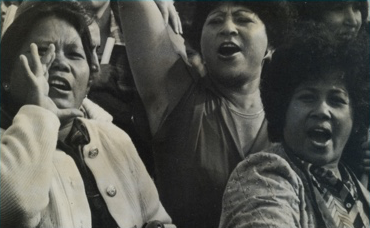 We fought the English-only movement and the assault on bilingual ballots; we defended af­firmative action; and we struggled for workers’ rights and unionization in the factories and fields, with a few victories such as the Watsonville cannery strike. Although Simpson-Rodino passed, we fought to expand the amnesty provisions for the undocumented, and to provide protections for family reunification. 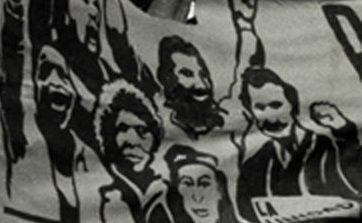 The 1990s will see a growing movement for Chicano/Latino political empowerment, in­cluding efforts to establish an independent Latino political agenda at the national level. As the Latino population grows, we should consciously see ourselves as a social force that can help reshape this society into one that is more equi­table and just. 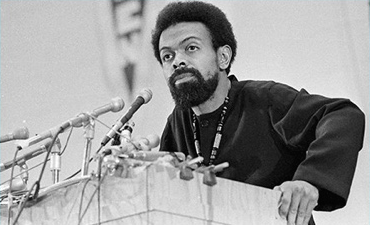 We should consciously ally our­selves with other social movements, particularly with African Americans who face national oppres­sion and share a common desire to end racism and to increase democracy and equality in this country. We are the new emerging majority, and though the future poses many obstacles, the potential is vast. Let us draw inspiration for the tasks ahead from the courage of the people of Puebla.